I was ambling along into town this morning, when two serious looking cyclists overtook me. I got on their wheel and enjoyed a faster commute into town than normal. Even at low speeds, you get a bit of benefit from sitting behind. 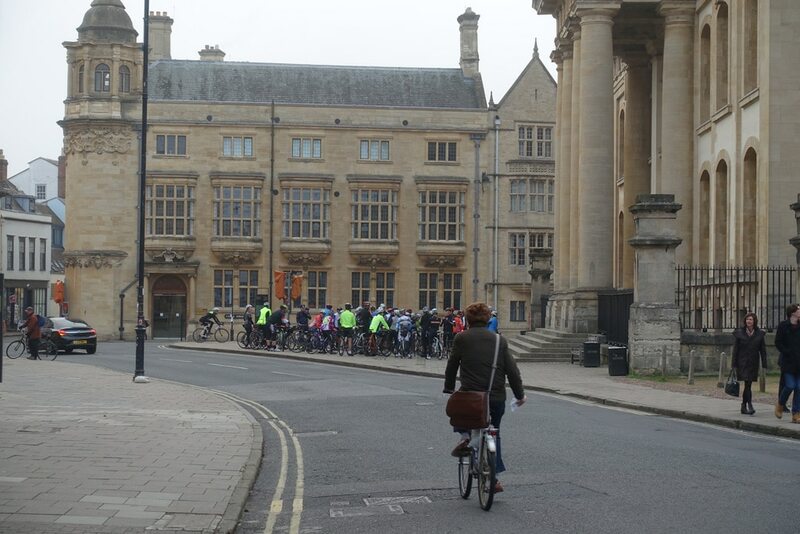 The two cyclists were joining up with a big group, meeting in centre of Oxford who were going for a long ride. That was my training for the day – 2 miles at a 16mph. I have a race tomorrow at Burrington Combe, though I’m not looking forward to it because I’m unfit and still carrying an injury. 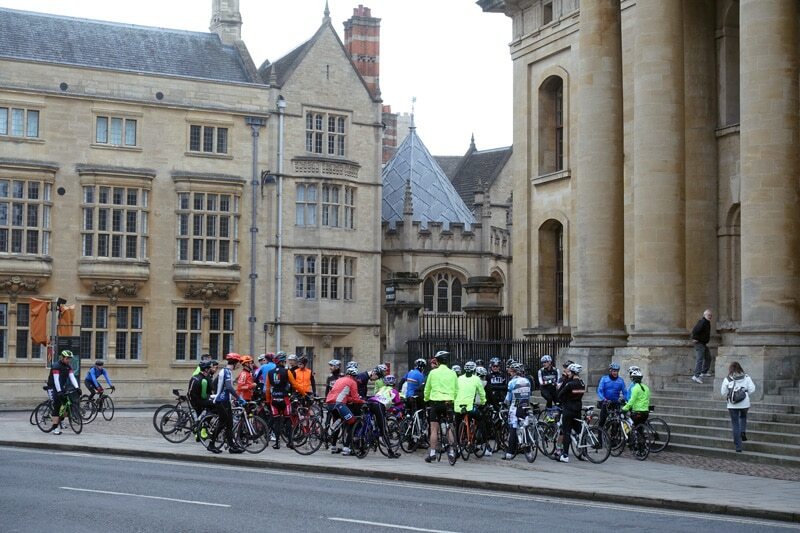 It’s good to see so many cyclists meet up for Saturday training. Only 8 days until the National Hill Climb Championship in Matlock. Next week, I shall continue with my three month tapering plan. I’m now glad it’s a short hill. Should be all over in three minutes. Hope I don’t get caught by my minute man.